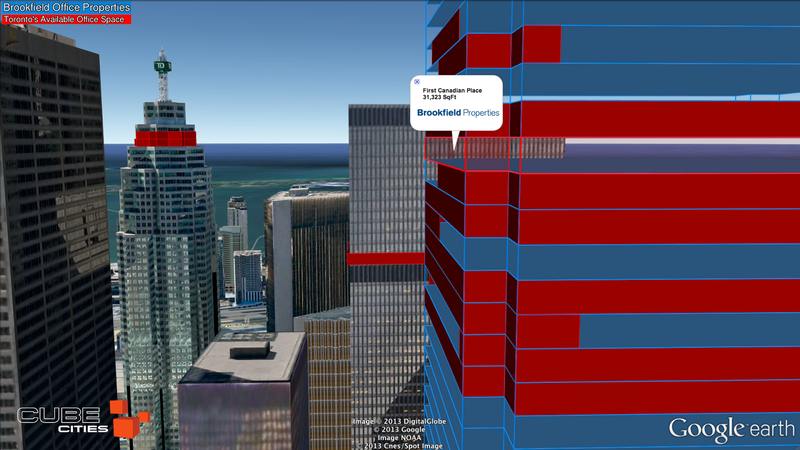 Here's a look at Brookfield Office Properties downtown Toronto portfolio. 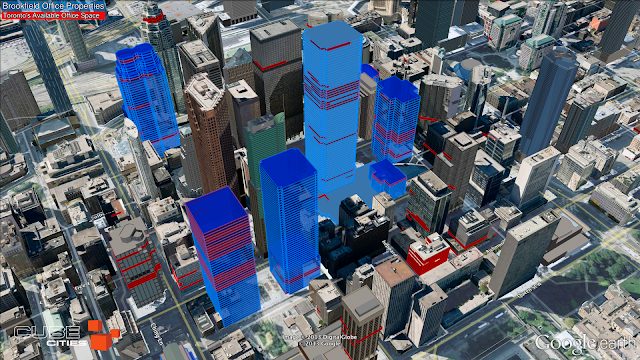 The video below is a Cube Cities flyover of the portfolio's buildings. The video provides a look at the current office space available downtown Toronto, including the current available space in the Brookfield portfolio. The video demonstrates several Cube Cities data elements, including a fade-out of the photo-textured buildings to reveal the internal floors in First Canadian Place, Canada's tallest building. Contact us for portfolio visualizations of other large commercial real estate companies in Canada and the United States and see how they compare to the market. Awesome looking and nice assumption of cities. The future of real estate companies in Toronto are bright.